Television news has been - and currently remains - the most powerful platform in the world for news and information. For more than 50 years, it enjoyed a privileged position in a low-choice environment with large audiences and high levels of trust. But of course the internet has changed that. We now live in a high-choice environment with rapid changes in technology and consumption to which TV news is having to adapt. These changes have been known and debated for more than a decade with warnings about the imminent end of scheduled TV - so many take comfort from its continuing strength. But, as with many structural changes, the impact is often overestimated in the short term and underestimated in the long term. Our new report from the Reuters Institute for the Study of Journalism, suggests the long-term impact is about to hit TV news. The full force of digital disruption which has run through the newspaper industry is set to do the same to TV News. Viewing in countries such as the USand the UK has declined by 3%-4% per year on average since 2012. These declines are directly comparable to the declines in print newspaper circulation in the 2000s. If compounded over 10 years, the result is a decline in viewing of a quarter or more. The average audience of many television news programs is by now older than the average audience of many print newspapers. The decline in viewing among younger people is far more pronounced, both for television viewing in general and for television news specifically. Under these conditions, it seems improbable that TV news will remain the dominant force it was in the second half of the 20th century. In tandem, we see a rapid rise in video viewing online and on mobile driven by video-on-demand sites, streaming services and video sharing and social media platforms. And although services - including Netflix, iPlayer and Amazon Prime - have been good for TV drama or entertainment, news and current affairs have not found a clear place in this changing environment. The implications for journalism are potentially profound. Even as newspapers waned and digital media waxed in the 1990s and early 2000s, television remained the single most important and most widely used platform for news in many countries - and both private and public television news providers invested serious money in journalism serving international, national, and local audiences. But both the reach and the revenue will decline in the years ahead. Video journalism has to reinvent itself for the age of social and mobile consumption. It faces deep challenges. What works on TV does not work on a mobile screen or as a silent autoplay video in a social media news stream. More significantly, the public interest ethos of much broadcast news in developed markets is far harder to demonstrate in a short clip or on a mobile phone. Broadcasters are not necessarily the most important or most able players in such environments. Their formats, cultures and workflows are designed for different purposes. In the "click-and-share" world, pure digital players with fewer overheads, niche audience targets and new approaches have some major advantages. There are many innovations being tried by broadcasters - and if one thing is clear it is that as yet there is no clear recipe for success. This of course does not take away the urgency of experimenting to find one. 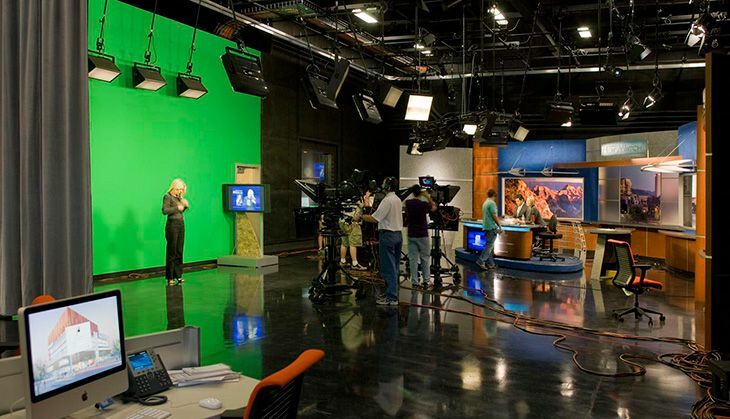 TV news broadcasters have many assets - including big, trusted brands, creative talent and high quality content. But they have to find entirely new ways of putting those elements together to achieve traction online. In doing so, they risk surrendering the strategic advantages of the past. Traditionally, big media's strength came from control of limited distribution- whether it was a printing press or broadcast licence. Today, in the search for big online audiences and revenue, control of distribution is being ceded to social networks whose algorithms determine when, where and how media organisations' content is seen. And they can change that overnight with little or no discussion, transparency or accountability. So as TV news broadcasters experiment with digital formats (from short sharable clips, to longer form immersive films, to live streaming or even virtual reality experiences) they also have to negotiate a new place in a media pecking order dominated by the technology giants. The biggest battle for the television industry is yet to come. It will involve a fight for attention, for brand visibility, for control of content and for access to the data that helps one understand the audience and unlocks commercial opportunities. Above all, it will be a fight to offer differentiated content in the most convenient way as consumers embrace new technologies and develop new habits and expectations. This is perhaps the biggest challenge for television news - how to reinvent its core social and political mission in a new environment and find ways of resourcing it. The question should not be what will replace traditional television news. Nothing will. The question has to be how can we move beyond television news as we know it?